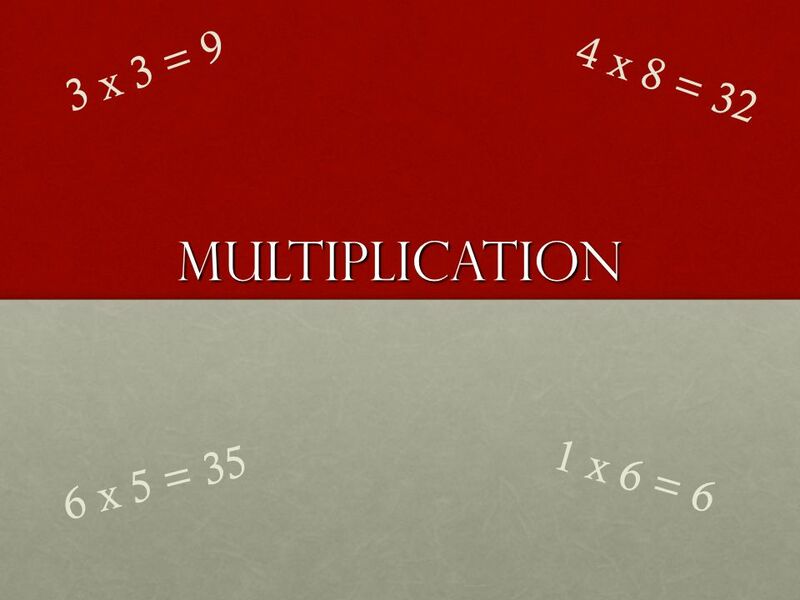 Multiplication 3 x 3 = 9 4 x 8 = 32 1 x 6 = 6 6 x 5 = 35. 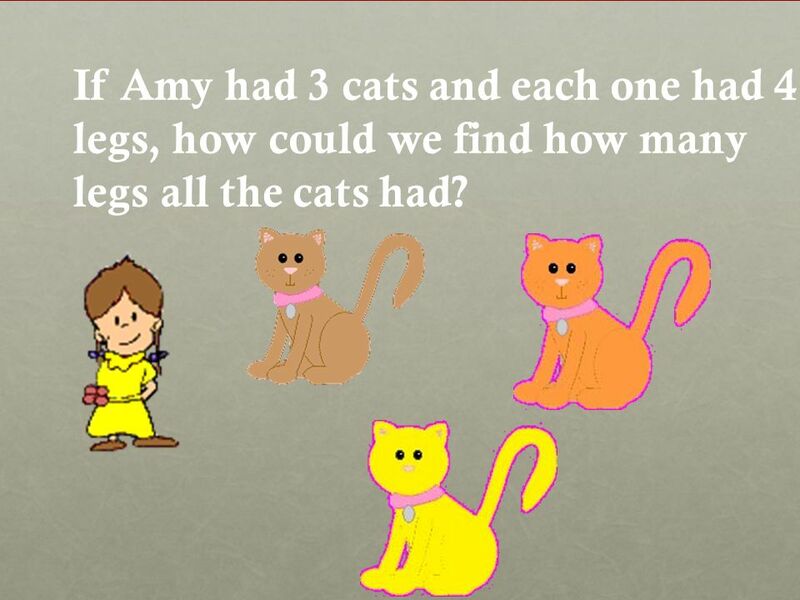 2 If Amy had 3 cats and each one had 4 legs, how could we find how many legs all the cats had? 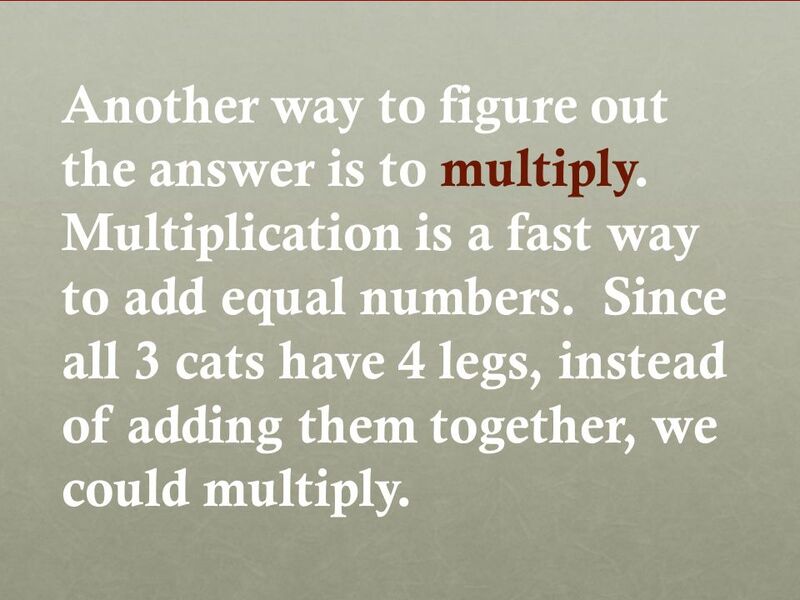 4 Another way to figure out the answer is to multiply. 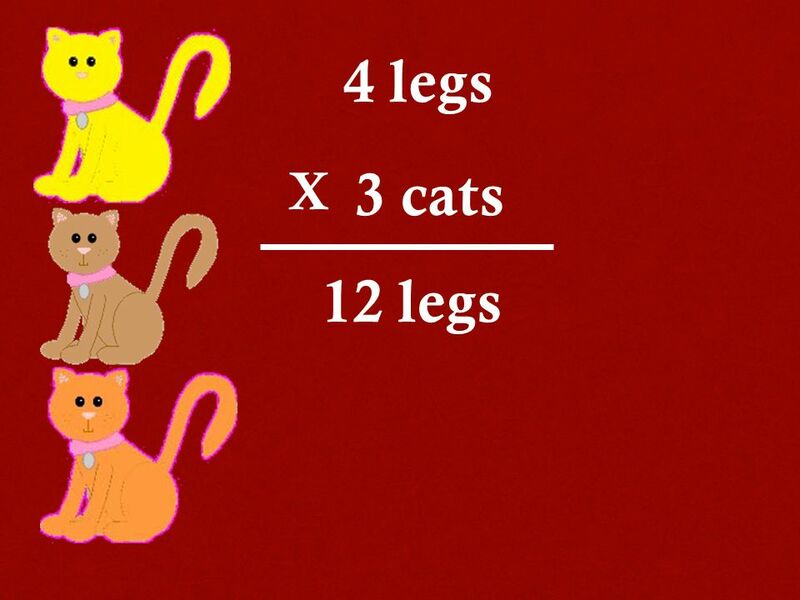 Multiplication is a fast way to add equal numbers. 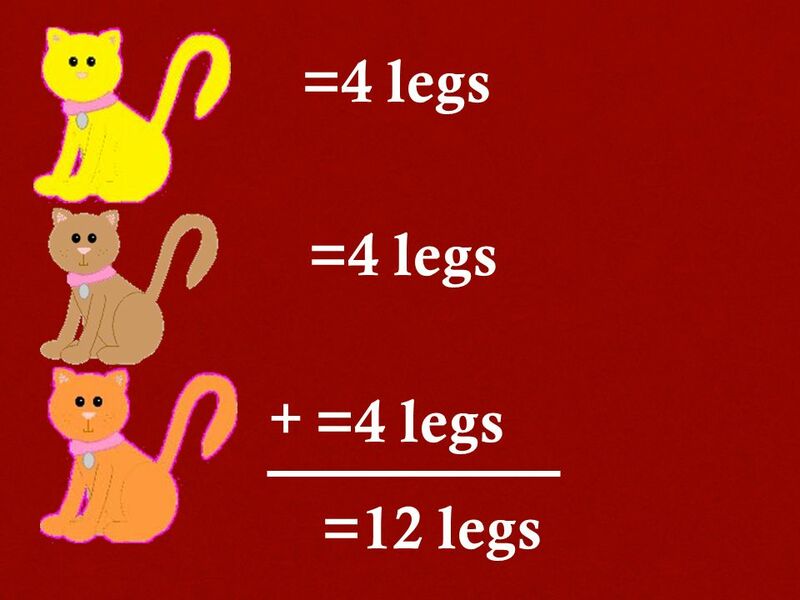 Since all 3 cats have 4 legs, instead of adding them together, we could multiply. 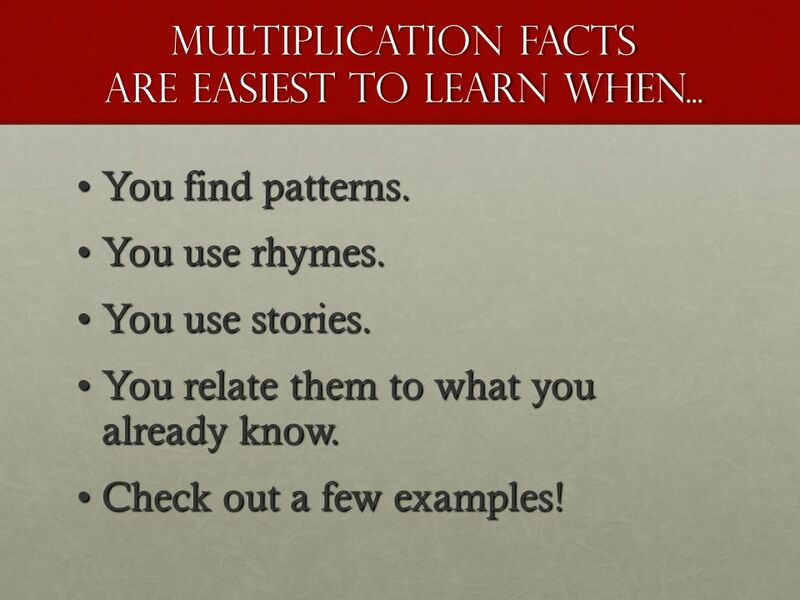 6 Multiplication Facts are easiest to learn when... YouYou find patterns. 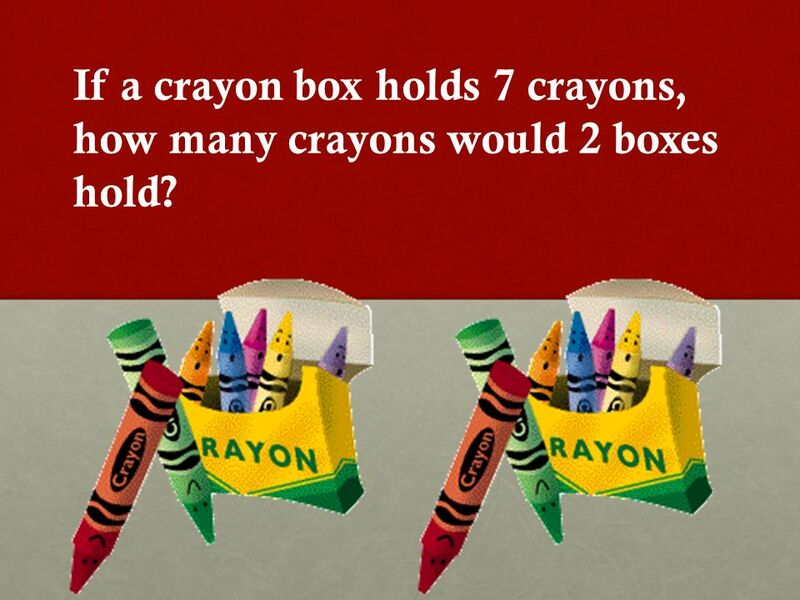 use rhymes. use stories. 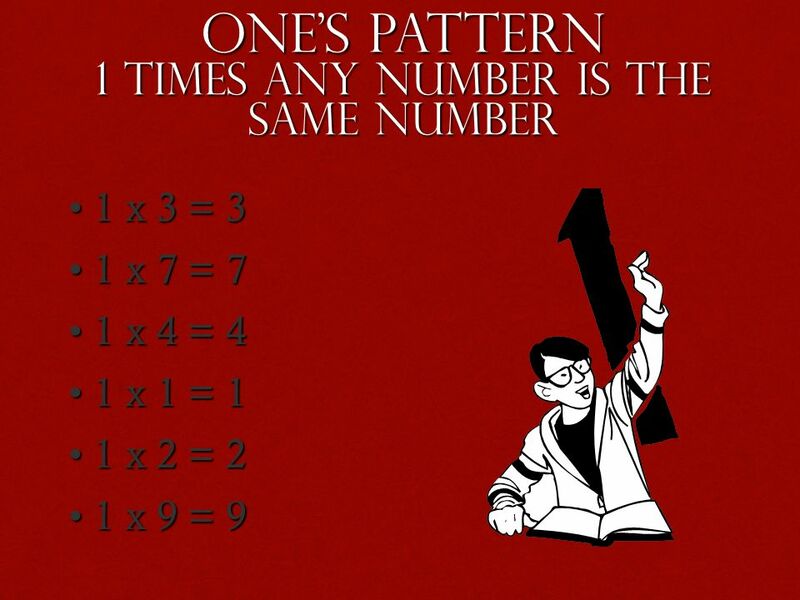 relate them to what you already know. 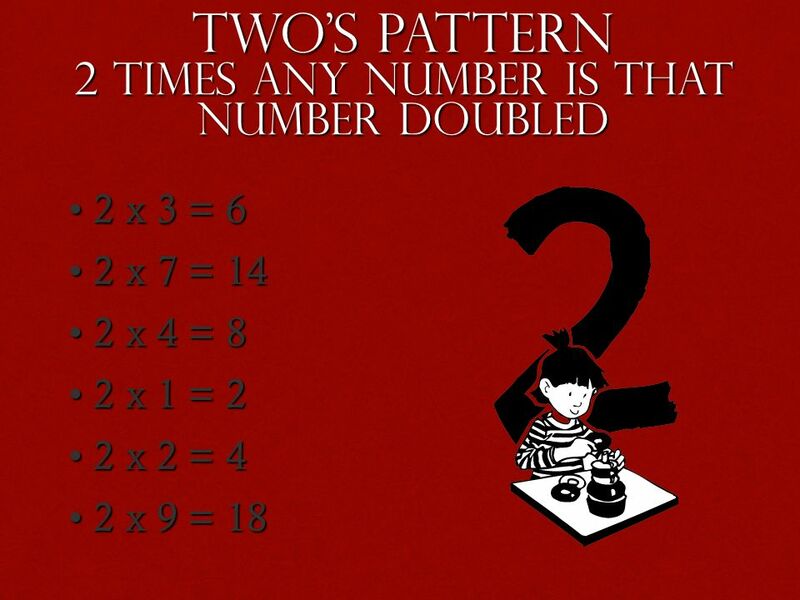 CheckCheck out a few examples! 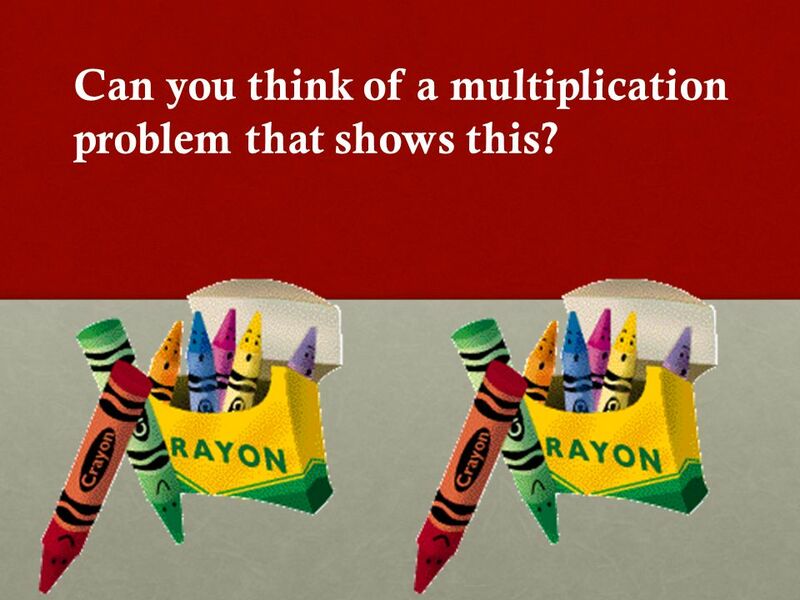 10 We can also use multiplication to find the total number in this set without having to count them. 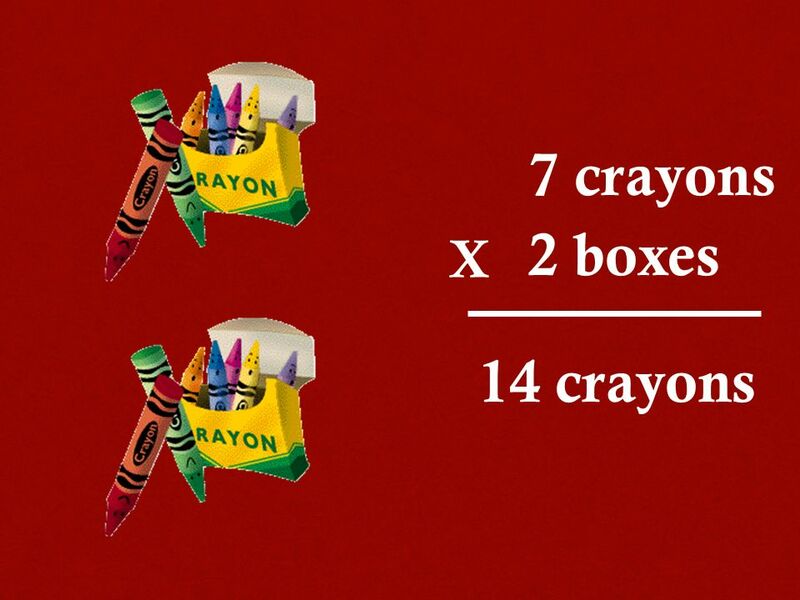 15 If a crayon box holds 7 crayons, how many crayons would 2 boxes hold? 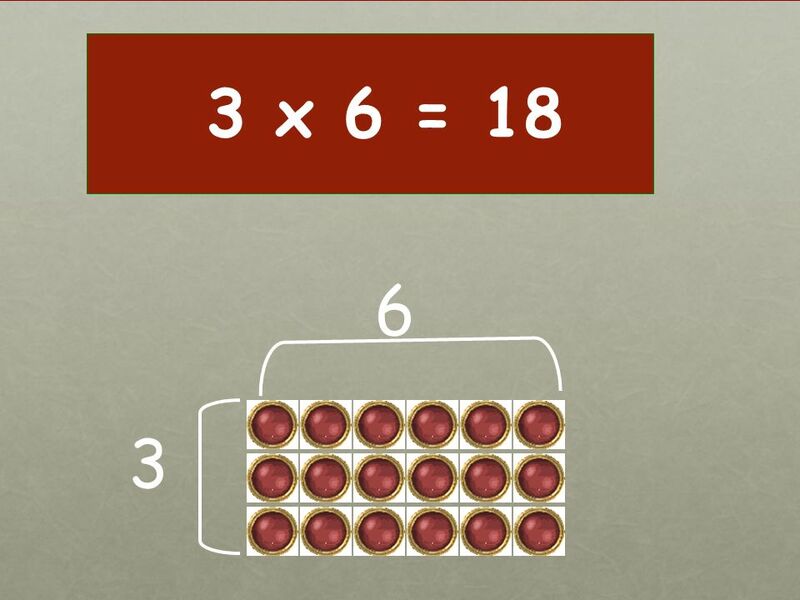 16 Can you think of a multiplication problem that shows this? 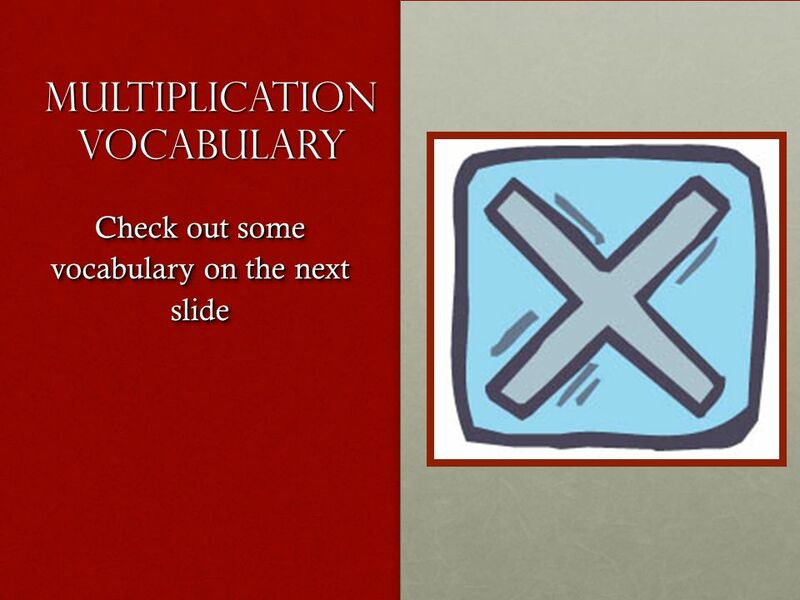 Download ppt "Multiplication 3 x 3 = 9 4 x 8 = 32 1 x 6 = 6 6 x 5 = 35." 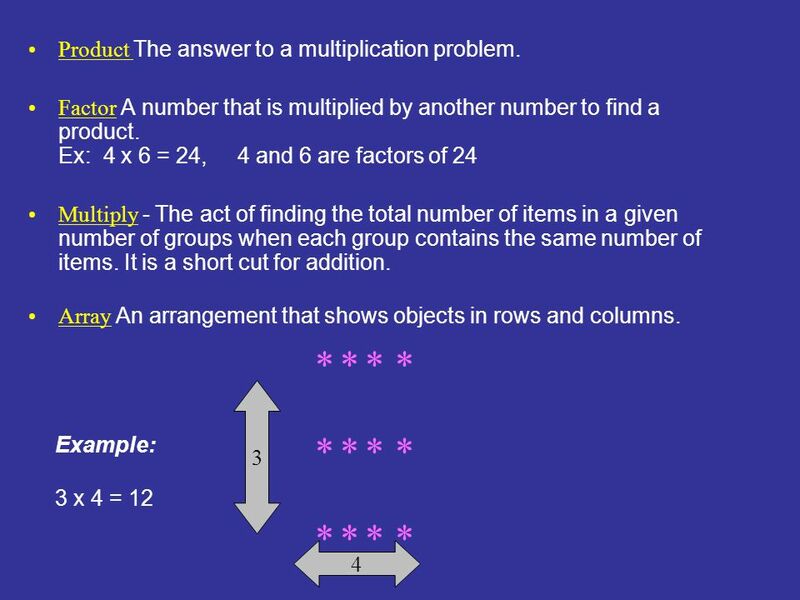 Multiplication LI: To be able to write number sentences to describe an array. 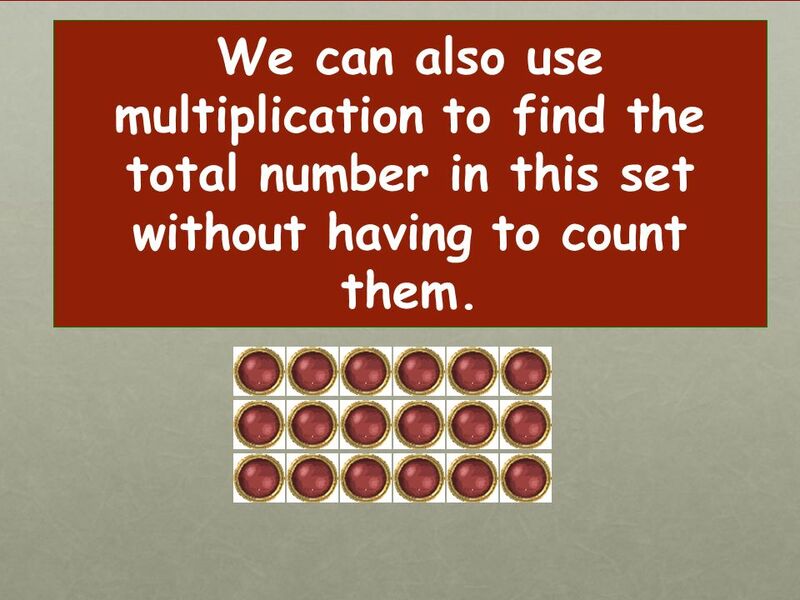 Multiplying Whole Numbers Lessons 4.1-4.7. 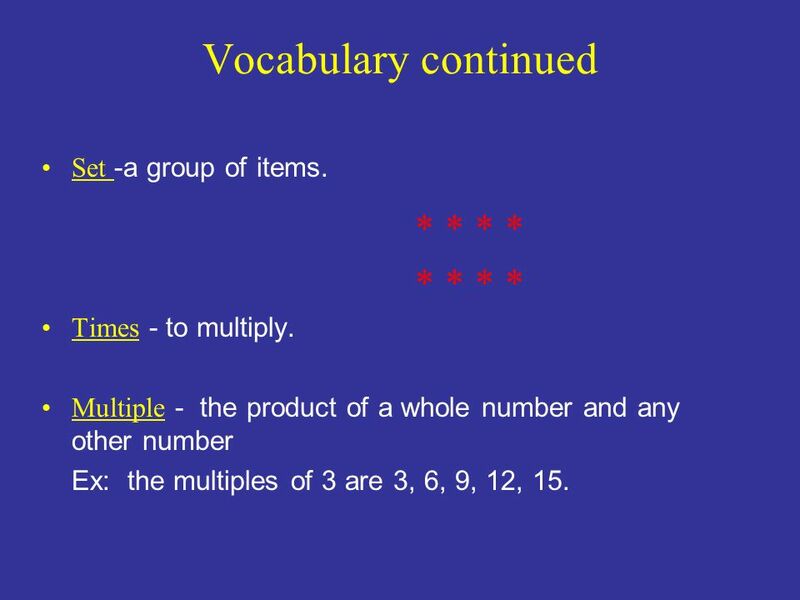 Math Vocabulary multiply – to add a # to itself one or more times e.x. 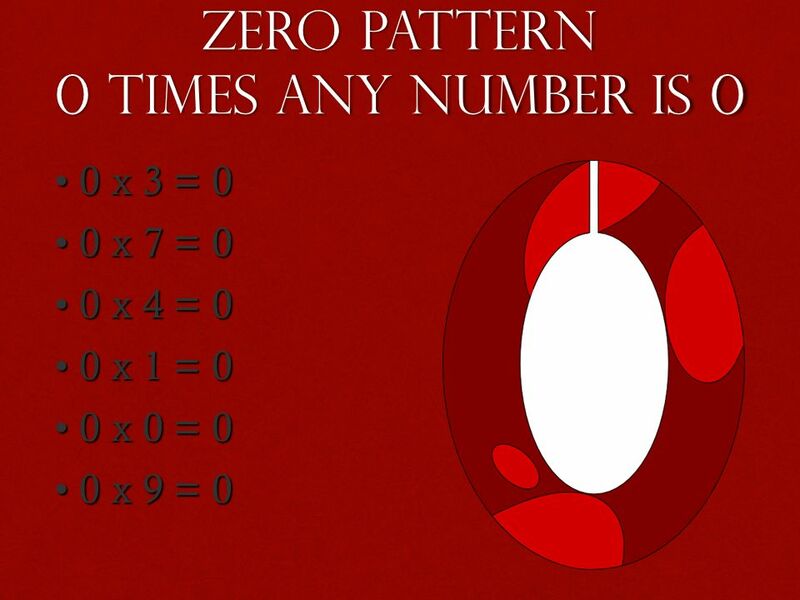 2 + 2 + 2 + 2 + 2 = 10 OR 2(5) = 10.